In the midst of the Julian Alps, on the edge of the Triglav National Park and right next to the point where the borders of Slovenia, Austria and Italy meet lies the fairytale village of Kranjska Gora. 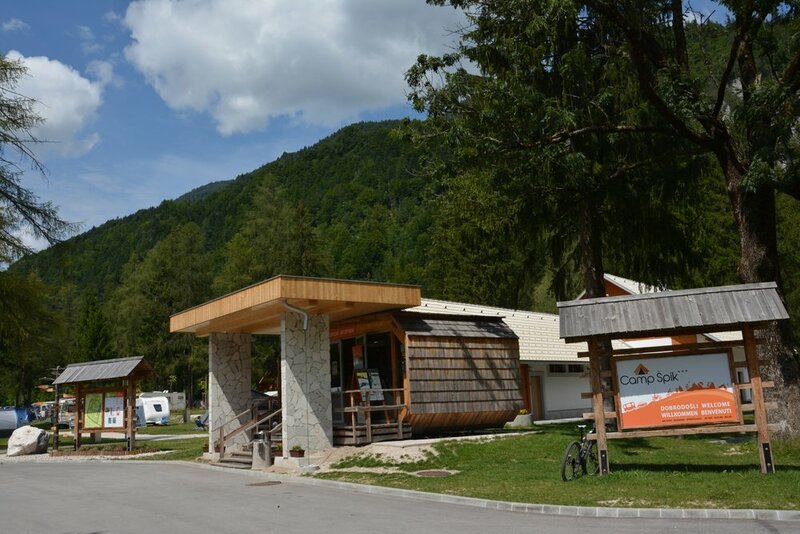 Not far away, in the settlement of Gozd Martuljek, under one of the most beautiful sceneries of the Alps, the Špik Mountain Chain, is Camping Špik. The unspoiled nature offers numerous opportunities for free time activities, sports and trips to the surrounding areas - an escape from everyday worries. It is the second Slovenian campsite awarded with the Green Key and all visitors are amazed by the view on the high Julian Alps on the south of the camp. Across the area of 7.5 acres there are 200 pitches, most of them are located in natural shade. All pitches have electric hook-ups and are situated near drinking water supply. All sanitary blocks have been recently built and equipped. With the unique location, Camp Špik is a perfect location for skiing, cycling, hiking, rafting and paragliding.